Preliminary data released late last month by the National Safety Council has revealed an alarming 9 percent rise in traffic deaths in the initial six months of 2016 as compared to the same time frame in 2015. This finding is unfortunately consistent with the existing upward trend in roadway fatalities that has been observed since 2014 and which has been attributed by some to an increase in travel sparked by a recovering economy and reductions in unemployment rates. According to the safety council’s estimates, approximately 19,100 individuals lost their lives in traffic accidents across the United States between January and June of this year, representing a rise of 18 percent over the same time frame in 2014. 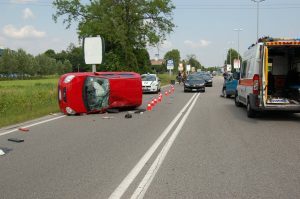 Data gathered from state traffic authorities also indicated that roughly 2.2 million suffered serious injuries during the first six months of the current year. Adding to the alarm caused by this reporting is the fact that the monetary cost of these events stands at a massive $205 billion. The immense toll, financial and otherwise, of traffic accidents nationwide simply cannot be overstated. If the existing pace of fatalities continues, roadway deaths have the potential to reach 40,000 by year’s end, a tally that has not been reached in nine years, according to officials from the safety council. 2015 saw over 35,000 lives lost, rendering it the deadliest traffic year since 1998, in which 37,000 died. In response to the recent data, National Safety Council President and CEO Deborah Hersman has suggested that complacency is the true enemy and that drivers everywhere need to focus on effecting change and adopting innovative safety measures in order to halt the rise in what are almost always preventable deaths. According to statistics from the California Highway Patrol, in 2013 alone, roughly 3,000 residents of the Golden State were killed in automobile accidents. Unfortunately, there appears to be no sign of downward movement in that trajectory, as the safety council’s data also indicate that due to its 31 percent rise in fatalities, California was among the states with the most substantial increases in traffic deaths during the time period at issue. There can be no disputing the sort of upheaval, pain and loss that can and often does follow on the heels of a serious car accident. Agonizing car accident injuries, lasting disability and sadly, loss of treasured lives are among the most devastating effects experienced by an unacceptable number of individuals each year. These tragedies are that much more profound when they are the result of another driver’s negligence. The medical bills, rehabilitation costs, lost wages and funeral expenses faced by those harmed in vehicle accidents can be crippling, and justice demands that responsible parties be held accountable. At Ellis Law, we understand the challenges faced by victims and their loved ones in the immediate aftermath of a serious crash. For more than two decades, we have been committed to fighting for maximum financial compensation for those who have suffered harm at the hands of another. Dial 310-641-3335 to schedule a free case review with Los Angeles car accident lawyers at Ellis Law.